These are heavily-sought-after, often-regionalized, really-frickin’-hard-to-find, sell-out-in-a few-hours-type beer brands — like The Alchemist’s Heady Topper or Goose Island’s Rare Bourbon County Brand Stout. Craft nerds take great pride in finding, harpooning and imbibing these exclusive titles. In fact, there’s even an internet TV show about it. Jason Ley, craft beer enthusiast from Grand Rapids, Mich., has been quietly creating an idea for a rare beer TV show for the last two years, titled Modern Ahabs. It explores the hunt for the world’s most elusive whales, a topic Ley has a lot of experience with. 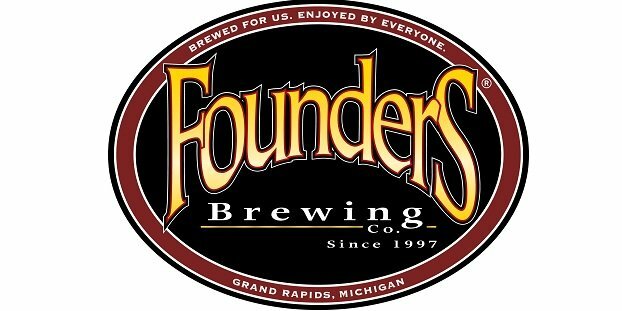 The pilot episode features Kentucky Breakfast Stout (KBS) by Founders Brewing Co., which makes senses as its based in Grand Rapids. Ley created the show, wrote and produced this episode, but he also enlisted the help of director, Ben Wilke, and his video production company, Deep End Films, to film and edit Modern Ahabs. Modern Ahabs is a non-staged, reality-style episodic series, and filming took place in Grand Rapids in March during KBS’s citywide release festivities called KBS Week. It’s only the first chapter exploring the quest culture surrounding craft beer. “Hundreds of beers later, I’m still fascinated by the natural human desire to want what we either can’t have or what proves to be worth just enough of our time to go out of our way to get,” said Ley, who then recounted his favorite beer pilgrimage. What else about this show? Well, considering the pilot episode: Locations featured in the first episode include HopCat, Derby Station, The Winchester, The Meanwhile and Founders Brewing Co. Ley will host the premiere of the pilot episode of Modern Ahabs on Thursday, July 21, at Wealthy Theatre in Grand Rapids (1130 Wealthy St SE, Grand Rapids, MI 49506). Doors open at 7:00 p.m., with a surprise, episode-themed Founders draft tapped at that time to celebrate the occasion. This free event is open to the public. General admission seating will be first-come, first-served. *Membership to Wealthy Theatre is not required to enjoy what will be on tap for this special event. Ley’s ultimate goal for Modern Ahabs is to partner with a major TV, cable or streaming network — to develop a series of multi-episode seasons, with each episode featuring a different national or international craft beer whale. The teaser definitely looks pretty good. Enjoy it above. Cynthia Cooper liked this on Facebook. Ben Wilke liked this on Facebook. Steph Harding liked this on Facebook.